Atletico Madrid’s France forward Antoine Griezmann has no regrets about staying at the Liga club despite a difficult start to the season which has seen him booed by his own fans. The 26-year-old was linked with a move to Manchester United in the last transfer window but signed a new contract with Atletico after the club were banned from registering new players until January due to the illegal transfer of minors. The Frenchman has endured his worst campaign so far in his four seasons with Atletico, who are in fourth place and 10 points behind Liga leaders Barcelona while also on the verge of their earliest exit from the Champions League since 2009. Diego Simeone’s side, finalists in 2014 and 2016 and semi-finalists last season, face AS Roma on Wednesday and their fate in qualifying for the last 16 is out of their hands. 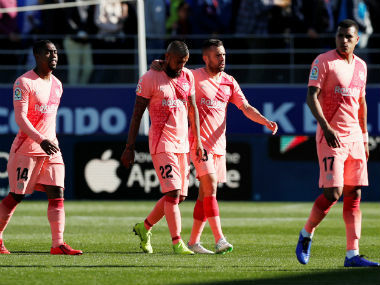 “I don’t regret staying, it was my choice and I would make it again even if we had lost seven games in a row,” Griezmann said in an interview with French television programme Telefoot, broadcast on Monday. 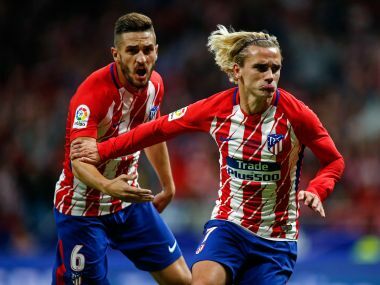 Griezmann struck three times in four games in September but is on a run of eight games without a goal for Atletico and was taken off in the last two games with the scoreline goalless. 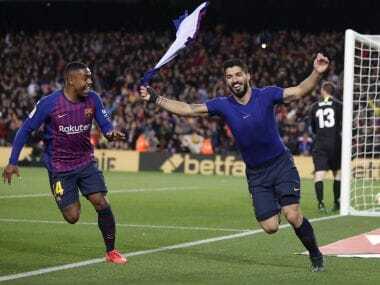 He was booed for a lifeless display against Real Madrid on Saturday, with fans also appearing to take issue with comments Griezmann made in the French media saying he would one day like to play with Paris St Germain’s Kylian Mbappe and Neymar. Despite his troubles, Griezmann on Monday ruled out a quick escape from the club in the January transfer window. “No, because Diego Costa and Vitolo are coming so we have to fight to ensure the team finishes as high as possible. I haven’t spoken to the president (Enrique Cerezo) about wanting to leave,” he said. ”I haven’t always expressed myself well. I said I would like to play with Neymar and Mbappe, but that doesn’t mean I want to go to PSG. 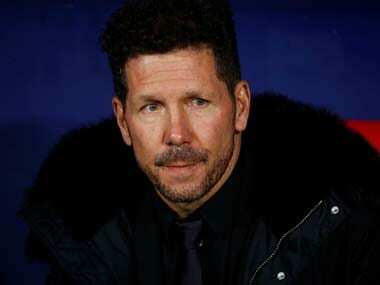 ”I‘m happy with my games for France but only with two or three for Atletico. I have to improve and find my best form.